Getting Married Abroad will be the Best Decision you’ll Make! Getting married abroad was definitely the best decision we made, we loved every minute of our wedding abroad and I’m certain you will too. If you’re looking for inspiration, advice and tips on having a wedding abroad then look no further! 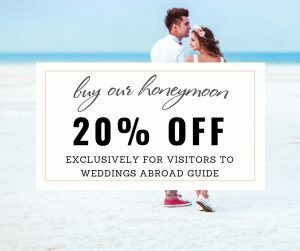 Weddings Abroad Guide is full of real information and great recommendations from couples who have been married abroad…and it will put you in touch with hundreds of the best suppliers from around the globe. Don’t miss a step…use my wedding planning checklist. Understand all the legal requirements for getting married abroad. Learn how to have a stylish wedding abroad on a budget. Use the wedding ideas and experiences of other couples for your own benefit and inspiration. Read our fantastic real wedding stories. Learn the questions you should ask before choosing your destinationwedding photographer. Take my quiz to find out if getting married abroad is right for you. Learn how much it costs to get married abroad. 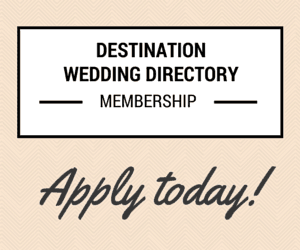 Find out if you should use a wedding planner, tour operator or plan your wedding abroad yourself. Read my top tips for choosing the destination that’s just right for you. 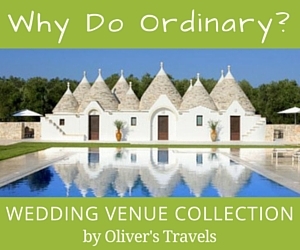 Learn what you should take into consideration when choosing yourwedding destination. Need some inspiration – take a peep at my month by month destination guide. Make your guests experience of coming to your wedding abroad as easy and effortless as possible. Create a wedding website to give your guests all the information they will need to travel to your wedding abroad. 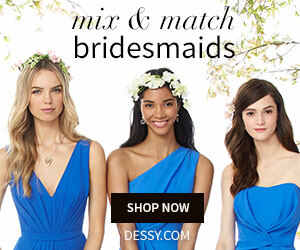 Find the best wedding suppliers. 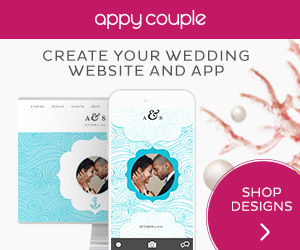 All the suppliers featured here come with a personal recommendation from couples who have used them to plan their own wedding. Learn how to promote your services here. Did you get married abroad? 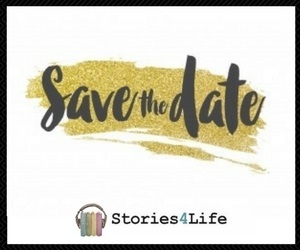 Share your wedding story here. In 2004 my husband and I successfully planned our own dream wedding in the South of France. At the time I quickly realised that planning a wedding abroad required a lot of research but I was struck by was the lack of quality guidance available on the internet. useful information on planning a wedding abroad from legal requirements to wedding abroad invitations. 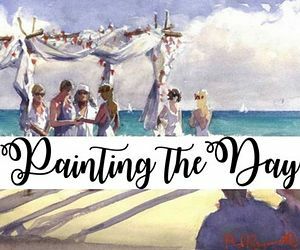 With the knowledge and experience we gained from planning our wedding I decided to create the type of website I was looking for when I got married abroad. So in 2005 this website was born. 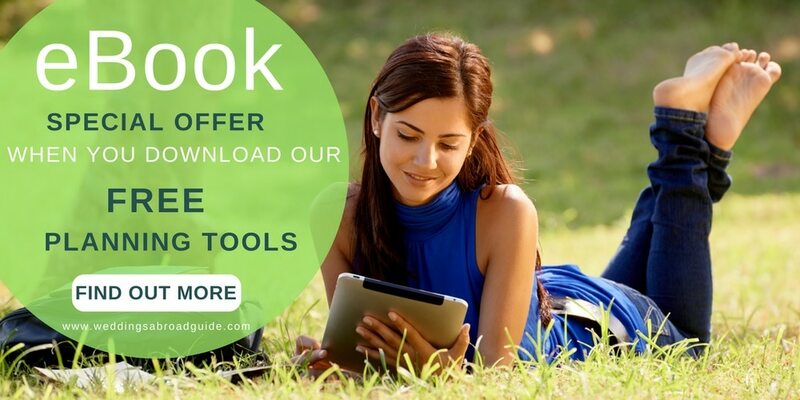 It was my aim to create a valuable resource that provided real advice from real people. All the information contained in Weddings Abroad Guide comes from the personal experiences of those who have been married abroad. 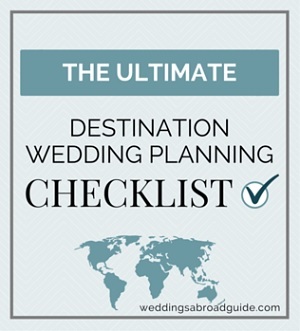 It’s designed to help with every stage of planning a wedding abroad, the fun parts and the not so fun parts! I do not plan weddings myself but have many fantastic companies featured on the site who can help you plan your destination wedding. 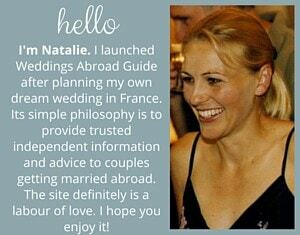 I’d love to hear from you if you are planning or have had your wedding abroad. I’m sure your experiences will be invaluable for other couples. 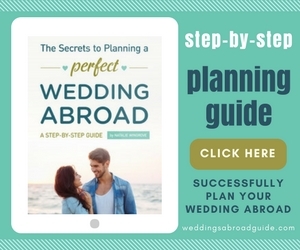 Wedding Abroad Planning Guide About Weddings Abroad Guide Making The Decision to Get Married Abroad Your Wedding Abroad Decision Making Made Easy!